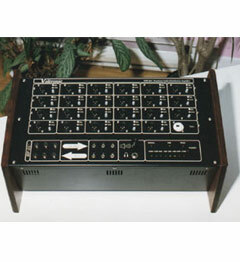 The FNB-2412D will drive 24 electronically balance mic or line level selectable outputs. The 24th output will drive, interface with and maintaine a 600 ohm telco output to drive and deliveran audio signal to remotely located media members via a standard POTS telephone line. The unit also has 12 unbalanced output and a headphone monitor out The input to the FNB-2412D is both electronically ballanced and transformer isolated. 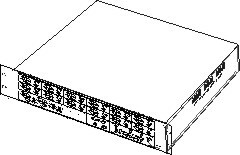 A looping output connector allows for multiple units to be ganged and stacked in order to driveas many output as desired. An 8 L.E.D. vu level meter monitors the output signal and a 3 L.E.D. vu level meter monitors the input signal.